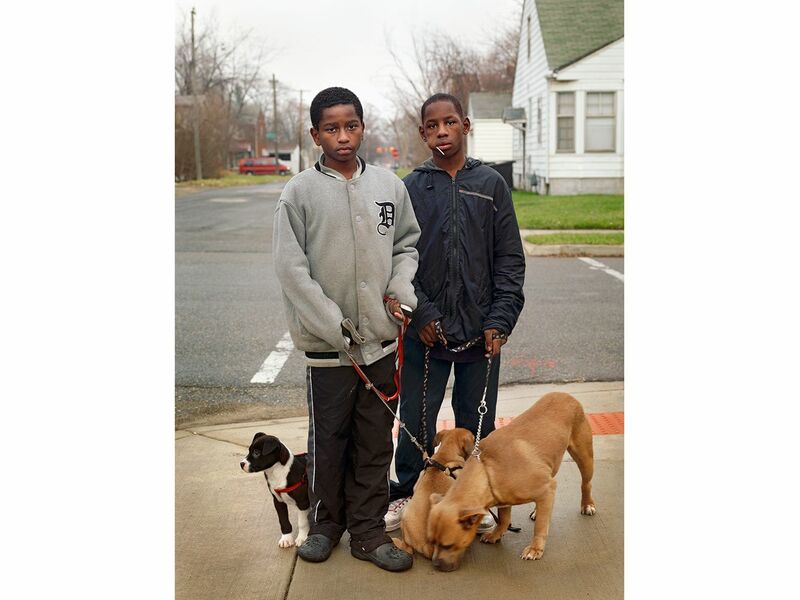 Two young boys canvassing the neighborhood trying to sell mixed-breed Pit bull puppies. 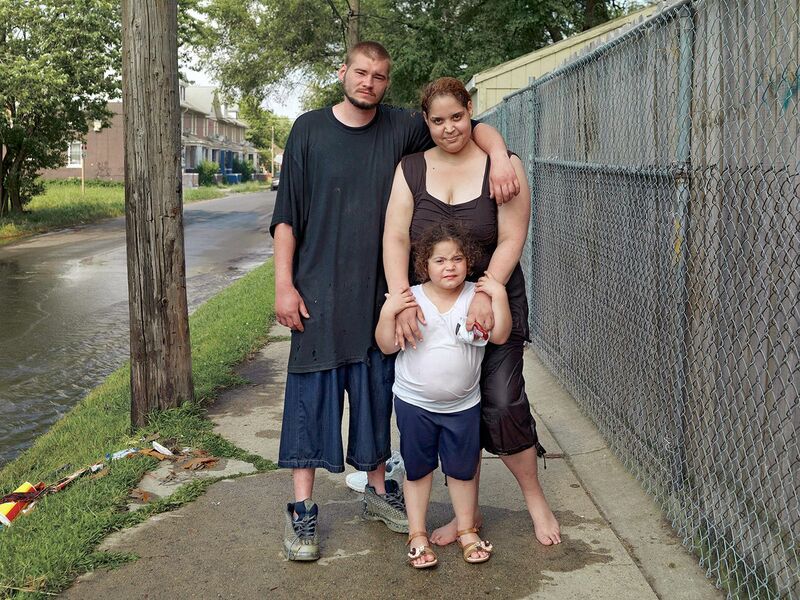 A young family returning from a dip in a makeshift street pool flooded by an open fire hydrant. Hand Painted Memorial for a well respected local restaurant owner who died of cancer. Gus works during the summer months from an empty parking lot along Gratiot Avenue near 7 Mile Road. He sells and repairs all types of lawnmowers. The Indian Village neighborhood on Detroit's eastside is one of the cities most historic and more affluent areas and is placed on the National Register of Historic Places. 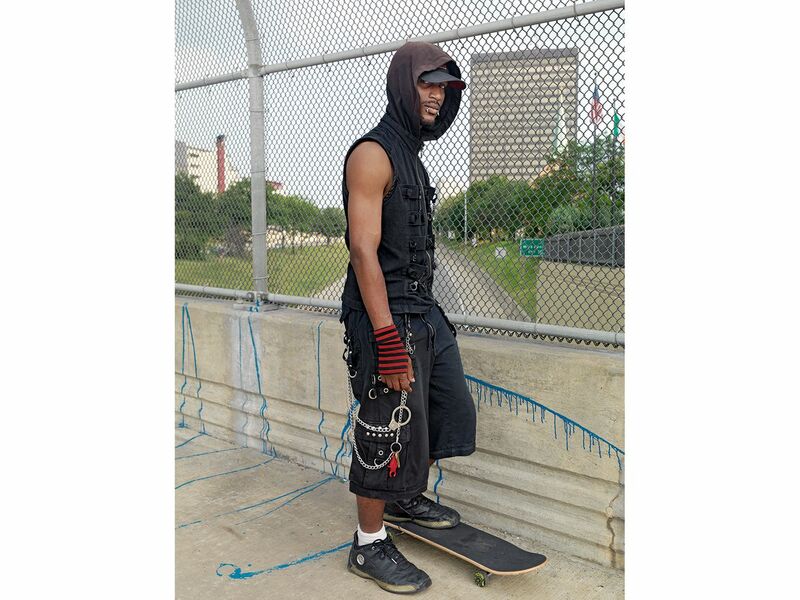 This is a beautiful neighborhood where many of Detroit's elite lived. It had gone through a gentrification process within the last decade, but the housing collapse in 2008 curtailed all future improvements and this couple lost their home to foreclosure. Dee purchased this house with cash for $100.00 from a 94 year old man. He claims to have a receipt although no legal documents were prepared. He had lived here for four years without heat, running water, or electricity. He feels blessed that he has a roof over his head, but In 2016 the city condemned the property and had it demolished. I don't know where Dee went. This is pretty much everything Dee owns. This shot was lit using three LED flashlights. Dee makes a little money renting out the extra room in his house to friends. A homeless man died in the fire that consumed this abandoned house. It's believed that he was heating a room by burning wood in a bucket. This building has been used by many artist as a site for public works projects after it caught fire and was damaged by an arsonist. Affectionately named "Lefty" due to its position in relation to the only other house on the block, it sits directly across from the infamous Michigan Central Railroad Depot. The organization, called The Imagination Station, is trying "to construct a creative campus in Detroit built on community, technology, sustainability and the arts." For more information go here: www.facethestation.com. In late June, 2012 arson's again torched the remainder of what was left of the Imagination Station. Now, just a pile of black charred rubble, the owners of the property aren't sure if they'll rebuild or not. The Heidelberg Project is art, energy, and community. 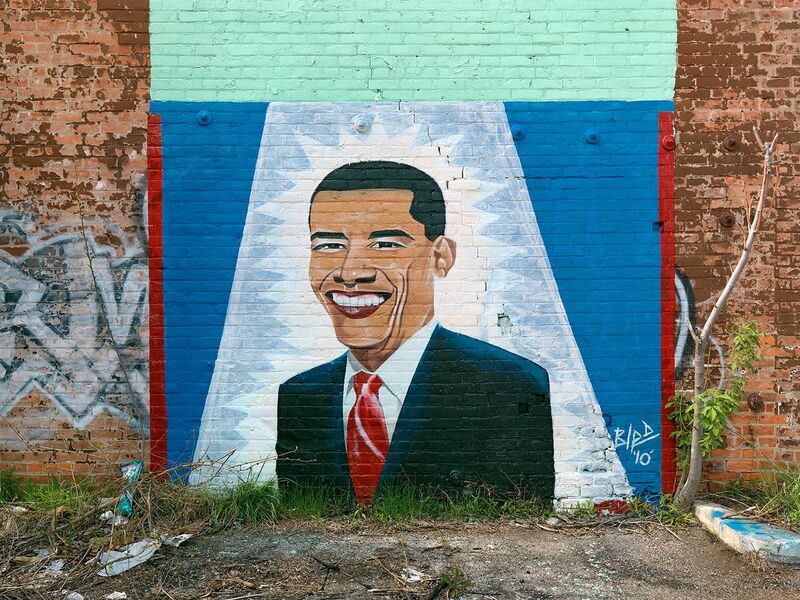 It’s an open-air art environment in the heart of an urban community on Detroit’s East Side. 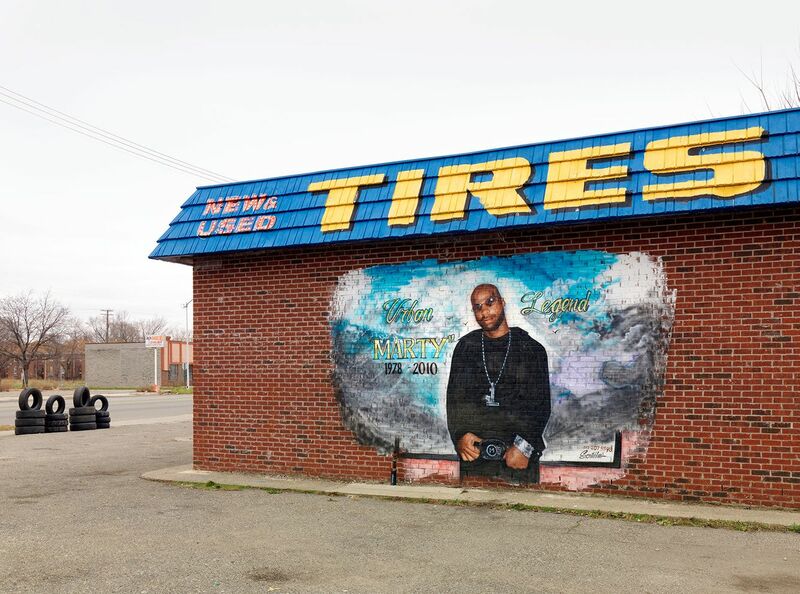 Tyree Guyton, founder and artistic director, uses everyday, discarded objects to create a two block area full of color, symbolism, and intrigue. Now in its 26th year, the Heidelberg Project is recognized around the world as a demonstration of the power of creativity to transform lives. For more information please visit: http://www.heidelberg.org. In 2015 an arsonist set fire and destroyed six of the buildings that were part of the Heidelberg project. The Animal House was one of them. Kristen is an independent commercial iron fabricator and custom welder. She also owns a food catering company called the Pink FlaminGo, providing private and commercial catering. She recently launched a pop-up food truck business, which are popular in other major metropolitan cities, but Detroit is slow to adopt to this form of eatery and the city has sighted her on more than a few occasions for operating her truck in the downtown area. She continues to fight city hall over the repeal of this archic law which was established in the 1940's to protect real estate owners who had restaurants located on their property. Kinga is a graphic designer, organic farmer, silkscreen artist, and Detroit entrepreneur. Originally from Hungury, she has lived in the city the past 15 years. Along with her husband and others who live on Farnsworth Street, they have successfully farmed several large abandoned lots in the area which provide enough food to live off of. Rachel owns Rachel's Place, a vintage clothing and accessories shop on Pike Street. She was let go from her job in 2008 as a Ford assembly plant worker because she was too vocal as a union supporter. She used her savings to purchase a four unit building and then opened her shop which has a loyal, word of mouth following. Alex lives in the suburbs, but his father heard about the gym's excellent reputation so he brought his son down to enter him into their program. In six months Alex has lost 50 pounds and has turned out to be one heck of a boxer. 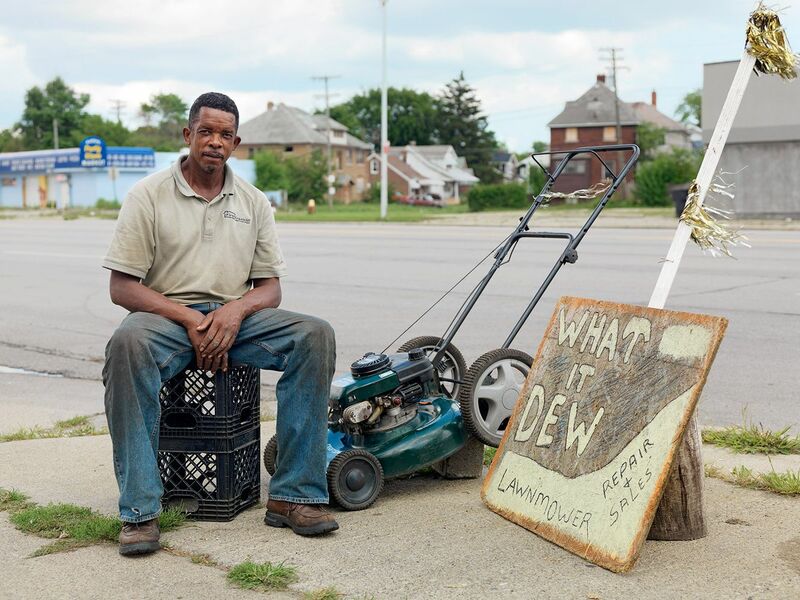 Derrick, an unemployed autoworker was a member of the Occupy Detroit movement and was living in a tent in Grand Circus Park with several others who were protesting the government’s bailout of Wall Street investment firms. The park was in direct sight of the upcoming annual Thanksgiving Day parade down Woodward Avenue so the day before the telecast, police removed everyone from the park and banned the group from returning. Coz is a member of the Eastside Bloods Street Gang. All of his tattoos were obtained while in prison. Calvin does maintenance work for local Burger King restaurants. He was cleaning out his work truck when one of his Pit bulls came running out of the house. He owns three of them and they're all well trained, friendly dogs. He says there are no bad Pit bulls, only bad owners. Richard and his wife have owned their house since 1978 and they are the last residents living on Delta Street. Every house in this picture is abandoned except for his which is on the far left. It only took eight years for the street to completely empty out. Laid off from his job over two years ago and unable to find work, he has no plans of moving, in spite of mayor Bing's Master Plan to downsize the city, which will force residents like Richard to move or be cut off from city services.